I had a birthday recently. It wasn’t a momentous one, but pretty close. As I work on my latest large linocut, I am increasingly aware of how much wear and tear printmaking can have on my body. Blocks are heavy, and need to be slid from the table to the press rather than lifted over shoulder height. 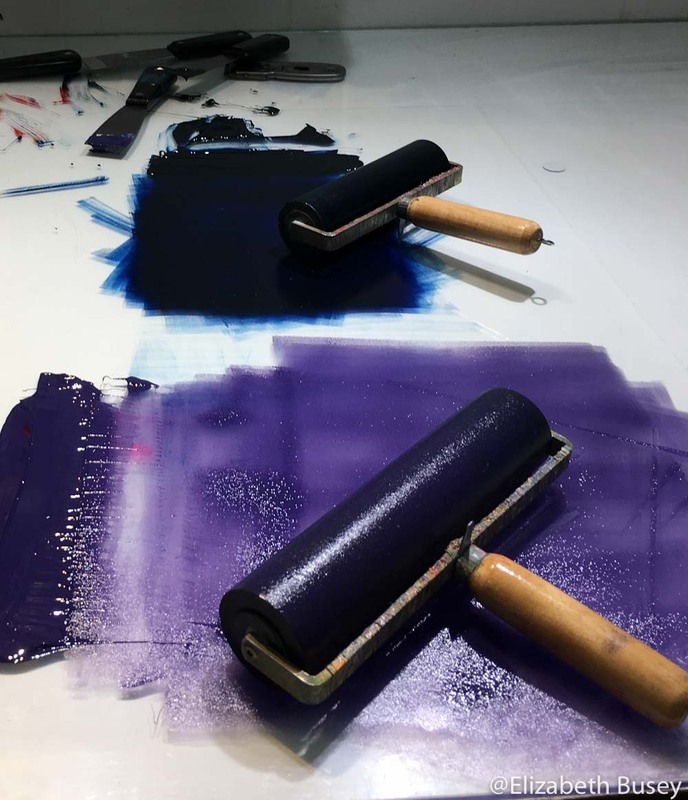 Large blocks mean large areas to cover with ink using brayers. This motion can put a great deal of stress on my hands and wrists. Luckily I learned a few years ago that good rollers can save your wrists. My brayers are used for smaller areas of my large block. This entry was posted in Materials, Techniques and tagged brayer, Linocut, McClain's, roller, Takach, wrists on October 28, 2016 by Elizabeth Busey.